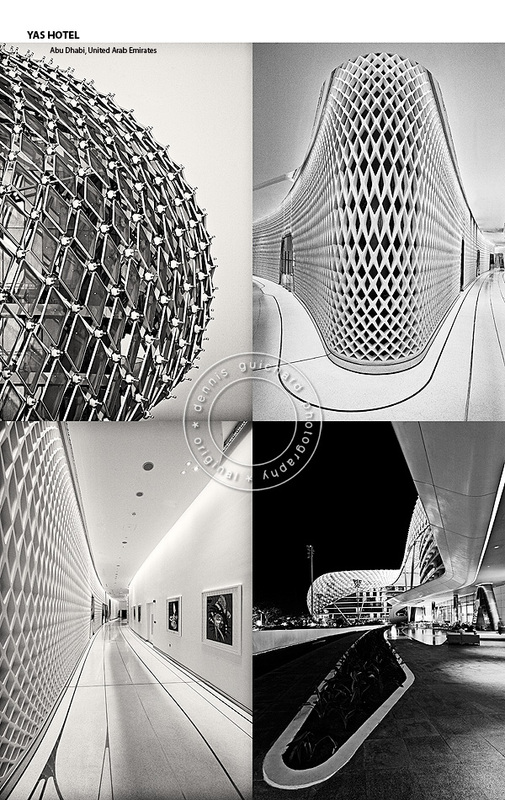 It’s Formula 1 Grand Prix weekend in Abu Dhabi so in celebration this compilation of images below that I shot recently for the 5-star Yas Hotel owners. As one of the most sensational new hotels in the world it actually straddles the Grand Prix track and fronts the phenomenal marina around which it is also built. Constructed by Al Futtaim Carillion for Aldar Properties the Yas Hotel provides the utmost in choice and diversity with 499 stylish rooms and suites including for over 85,000-square-meters of floor area. Twelve dining and lounge venues showcase cuisine from all corners of the globe including lavish Mediterranean choices, house-made Italian pasta, Southeast Asian specialties, poolside bites and Japanese Teppan. There’s no question; it’s a most sensational place to stay! What a sensational place made to look even more amazing by these images.